Amos Lake is a shallow, permanently cold, maritime Antarctic lake which is almost totally anoxic for much of the 9 month period of winter ice cover each year. The lake catchment is a source of considerable nutrient enrichment for the lake due to the presence, in summer, of large numbers of seals and seabirds. A dense growth of phytoplankton was supported by this enrichment and, in turn, was a source of nutrients for the diverse microflora of the lake. The phytoplankton had a very high assimilation efficiency and an apparent high tolerance of anoxia. 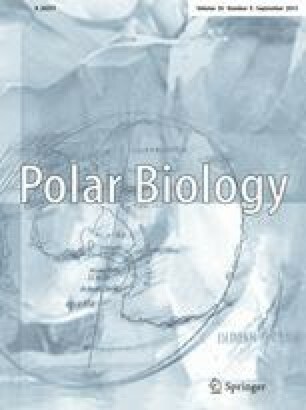 Bacterioplankton numbers and activity were closely linked to algal activity and both groups showed a strong seasonality typical of polar systems. Anaerobic bacteria (notably sulphate reducers and methanogens) were not as significant as anticipated, being largely restricted to the deeper lake trough region and possibly subject to substrate limitation later in the anoxic period. The results are discussed in the context of previous findings for other maritime Antarctic lakes.